The location of dealer studios for the Internet’s major live games providers, and some of the online casinos that use their games are listed below. In September 2018, Evolution reached agreement with London’s iconic Les Ambassadeurs Club to stream tables from the casino’s floor as well as construct a purpose built studio (named Mayfair Salle Privée) within the premises of Les Ambassadeurs. The Netplay studios are purpose built for TV broadcast with games televised throughout the UK on both pay and free to air channels. Extreme Live Gaming’s London Studio went live in late 2014. In 2019 Authentic launched their first UK based in-casino stream with roulette streamed from the floor of Aspers Casino in London. By most measures (square footage, table numbers, dealer numbers) this is the largest live dealer studio in the world. Playtech’s European studio is likewise a major operation, making Latvia the epicentre for live casinos focused on European markets. They have operated a large studio here since 2009. They opened a new, larger studio in early 2017. In mid 2015 Evolution Gaming launched live games streamed from tables inside Belgium’s Casino De Spa. Belgian licensed Bwin and Unibet are among early adopters. In November 2018, they launched a studio hosting games intended for TV broadcast, in partnership with Ardent Group’s Circus.be brand. Ezugi, in partnership with local casino operator Golden Palace Group, operate a BGC licensed dealer studio in Brussels. In 2018 Evolution Gaming began live streaming action from roulette tables inside the Royal Casino Denmark. In September 2016 Evolution Gaming launched a live dealer studio within the Grand Casino Bucharest, the first certified under Romania’s new iGaming regulation. At the beginning of 2017 Playtech launched their Romanian dealer studio, also in Bucharest. XPro Gaming have studios in Bulgaria, Slovakia and Moldova. Ezugi have studios in Bulgaria and Costa Rica, and also deliver live tables from inside the Gold Nugget Casino in Atlantic City New Jersey, and Cambodian casinos. Xpro Gaming have studios in Slovakia and Bulgaria. HoGaming launched their European facing, AAMS approved live dealer studio in 2013. Authentic Gaming are specialists in live games streamed from inside bricks and mortar casinos, including the Hilton International Casino on the shores of the Black Sea in Batumi, Georgia. In April 2018 Evolution Gaming opened a dealer studio in Tbilisi, Georgia. By 2019 this was Evolution’s second largest studio, with plans for further expansion over the next 3 years. Also in 2018 they started streaming in-casino tables from within the Shangri La Casino (July) and Casino Aviator (October), both located in Tbilisi. In January 2013 Evolution Gaming launched live games streamed from inside Spanish bricks and mortar casino Rincon de Pepe (Murcia). 888 were the first licensee to adopt. ‘San Remo Roulette’ is live streamed from the floor of Italy’s Casinò di Sanremo. Technology via Media Live Casino; available for play at Casinò di Sanremo website; license by AAMS. In 2013 Evolution Gaming reached agreement with Casinó Campione d’Italia to launch an AAMS certified live dealer studio inside the casino. In 2016 Authentic Gaming launched a live stream of roulette tables inside the St Vincent Casino in the Italian Alps. NetEnt’s only live dealer studio, launched in 2013, is located in Malta. Evolution Gaming operate a studio in Malta where they house their localized language tables. They also live stream tables from inside the Dragonara Casino in Malta. Portomaso/Wirex live stream tables from the floor of the Portomaso and Oracle Casinos in Malta. In 2014 Playtech opened a purpose-built studio located within its Espo headquarters (close to Helsinki) in partnership with RAY Kasino (Raha-Automaattiyhdistys). BetConstruct’s principal studio is located in Yerevan, Armenia. Vuetec’s games are not streamed from a purpose constructed studio. Rather they are (were) streamed from tables within a bricks and mortar casino…Dublin’s Fitzwilliam Card Club & Casino. These were one of the first ‘in-casino’ live games available online. They are presently not available. 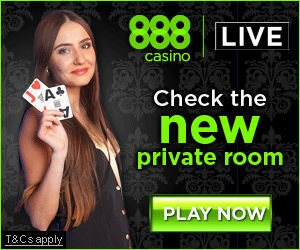 Ezugi deliver live tables from inside Cambodian casinos, in addition to their studios in Bulgaria, Costa Rica, and Atlantic City (US) casino streams. In August 2018, Evolution launched their first purpose built live dealer studio based, licensed and regulated in the United States. The studio is located in Atlantic City, New Jersey. In 2018 Authentic Gaming began streaming live roulette from the floor of the Foxwoods Resort and Casino in the US…the first US based in-casino table playable by players outside America. In 2018 Evolution Gaming announced deals to stream roulette tables from the floor of 3 of Atlantic City’s best known casinos…the Resorts Casino Hotel, the Ocean Resort Casino and HardRock Hotel & Casino. In 2017 Ezugi launched the first licensed and regulated live dealer studio based in the US. It is located inside the Gold Nugget Casino in Atlantic City. Playable by New Jersey residents only. Microgaming’s Toronto studio has been in operation for some time now. In February 2018, Evolution opened a large dealer studio in Vancouver, Canada. The studio was launched in partnership with the British Columbia Lottery Corporation, who would have exclusive access to live games from this studio initially, via their online casino site Playnow.com. Vivo Gaming have a studios in Columbia and Costa Rica. They also live stream games from a bricks and mortar casino in Laos.